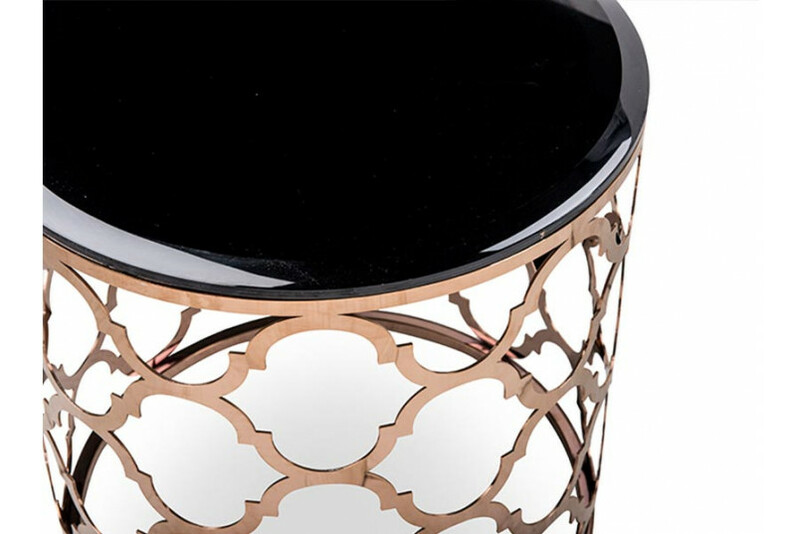 Otto is a circular and stylish side table with a black lacquered glass top and beautiful metal frame base highlighted in rose gold finish. 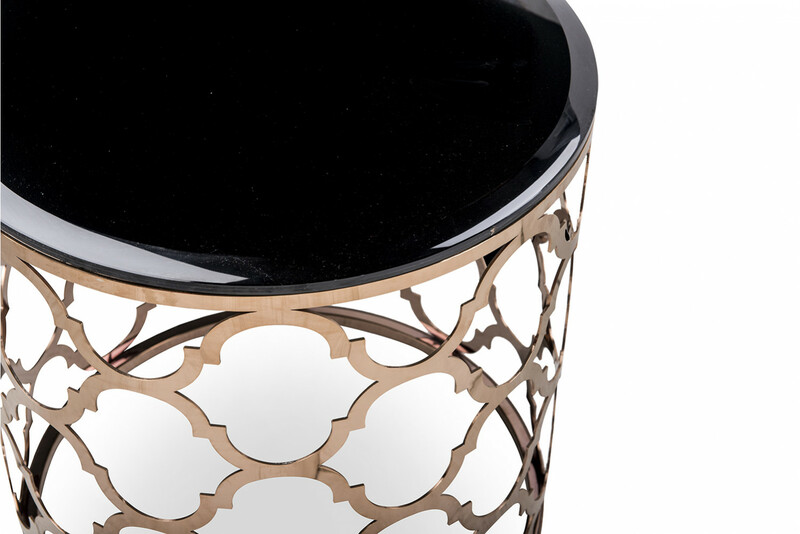 Its electic geometric style in base frame with quatrefoil pattern exhibits versatility in its design, pattern and overall look. The sleek style of Otto side table highlights its unique shape and compliments the glass and metal. Place this eclectic accent table next to the sofa, your favorite reading chair, or a bench in the entryway.